Let’s face it, everyone wants to be successful. People want to have more money, to be happier, to be healthier, to travel without worrying about the cost, to build intimate relationships with their lovers, and they want to live a quality life in every area. The question is whether you are ready for all those that you desire? I strongly believe that everyone can achieve their dreams, accomplish their goals, and live a life that they wanted the most, but it is not going to happen immediately. Success is a long-term process, not something that you can achieve within a few days. While it is true that it takes people less time to produce extraordinary results and shorter time to achieve great success these days, it is still going to take time. There are more millionaires in their twenties today than a century ago. And there are plenty of reasons for this, and below are two of the most obvious ones. Technology – plays an important part in bringing convenience and speed into our lives. Mark Zuckerberg, the person who created Facebook is a good example. Mark leveraged and used internet technology and made him a billionaire in his twenties. There are plenty of examples of people who have built successful businesses in their twenties, especially with the internet and become rich and successful. Education – education also plays a vital role in determining our success. People learn faster today than a century ago. By reading a book or watching a video on YouTube, you can learn how to build a website in no time. Plus, there are tons of seminars and workshops out there teaching you how to become rich and successful from gurus who made their money from selling the seminars. My point is that everyone can get rich and live a successful life if they wanted to. Plus, it has become easier and takes less time to produce something extraordinary now than 50 years ago. The problem now becomes what should you do or how can you prepare yourself for success? You see, success will not come to you automatically. It is not like tomorrow you wake up and you have a million dollars in the bank. Your dream car will not come to you and wait for you in your garage. Things happen for a reason. And if you want success to happen to you, you must do something to become the reason for success to come. Sounds simple, but it is not easy to do. I always believe that it is our characters, our mindset, our beliefs, our habits, and our behaviors that will determine our success in life. Therefore, if you want to prepare yourself for success, you must learn, grow, and transform your characters, your habits, your mindset, your beliefs, and your behaviors like a successful person before you can achieve outstanding results. Anyone can do this, but it will take awhile, maybe a few years, and a lot of effort to see the result. And if you are serious about achieving great success in your life, follow these 7 practices and make them your golden principles of successful living. Why do you want to commit to regular exercise and sports? You and I both know that exercise is important for health, but that’s not the main point here. Achieving good health is important, but the point I want to bring out is that committing to regular exercise and sports will develop your self-discipline. The key here is to create a schedule and stick to that schedule. For example, if you schedule to go for jogging or to hit the gym at 7am every Tuesday and Thursday, are you going to follow through no matter what? What if you wake up in the morning and found that it is raining and cold outside? Are you going to continue to sleep on your comfortable bed or are you going to wake up and go for it no matter what? Committing to what you have promised yourself is one of the best ways to build a stronger self-discipline and train for a greater determination. But why exercise or sports? Sticking to any task that you have promised yourself to do can improve your self-discipline too, not just exercise and sports. You are right. However, exercise and sports have another advantage, you will train yourself to hit your targets. If you go for jogging and before you start, you will think in your head as how many rounds, or how much time, or how many miles are you going to jog before you stop. And this, my friend, is setting target internally and achieving it. The same goes for doing pushups. You will tell yourself how many pushups you will do. You are setting an internal target for yourself to hit. If you are playing sports like tennis, swimming or basketball, you will do the same thing. You tell yourself that you are going to win the match, even if it is just a friendly match with your neighbor, when it comes to competing in a match, you will want to win. And your competitiveness to want to win is the factor that develops your determination and your practices for the game will build your self-discipline. The best-selling book, What The Most Successful People Do Before Breakfast, author Laura Vanderkam states that most successful people use their mornings for exercise. Commit to regular exercise and sports. More importantly, create a schedule and stick to the schedule. If you decided to exercise for three days in a week, make sure you do that regardless of the situation. The key here is to develop a stronger self-discipline and to build a stronger determination so that you can better prepare yourself for the success you desire. The second practice you can adopt is to build the reading habit. Again, most people understand that reading is important as it improves our knowledge, but sadly, most people don’t do it. They choose to watch TV, scroll through updates on Facebook or play games rather than spending their time into reading and widening their perspective. Improving your knowledge is one thing, what is more important is that reading allows you to see the big picture and do better comparisons. Take myself for example. I was born in a small city in Malaysia and I did not have the chance to visit other places when I was still in school days. What happened was that I thought that earning RM5,000 (USD $1,500) a month was a lot. Why is that? It is due to my own restriction and there is nothing for me to compare. After I moved to the capital of Malaysia, Kuala Lumpur, my perspective changed. I heard and seen people earning RM100,000 (USD $25,000) a month easily and they are driving luxury cars. Back then when I was still in my school days, my dream car was a Honda. And after that, I changed my dream car to an Audi. Can you see what is happening here? Changing your environment and getting more things to compare will enlarge your vision. While I’m not asking you to compare everything in your life with others, what I’m trying to tell you is that what you are exposed to will define you. And reading is definitely one of the profound factors that can affect and transform people. Put aside the positive habit that you are going to develop from regular reading, like regular exercise, reading is a whole new world. Reading, my friend, can change your perspective. It can change your view on the world. It can transform your beliefs. It can affect you and allows you to notice opportunities that have been around you that you failed to discover all this while. Reading changes lives. First, it changes the way you think because you are experiencing and viewing from the author’s point of view. Second, it can positively change your life as a result of your changing thoughts. Besides exercising and sports, most successful people read books. Of course, they choose the right material to read. They don’t simply read whatever that is handed to them. What you read matter. If you dump in garbage into your mind every day, guess what, it will affect your life and you will live a garbage life. So read materials that will help you, create more value in your life, and read books that will expand your perspective about yourself and the world. Have you ever wondered why Elon Musk is so smart that he manages multiple successful businesses including SpaceX that builds rockets? Well, someone did ask him this question before, and his answer? “I read books,” answered Elon Musk. Commit and make reading a habit. Read as many books as possible, especially in the personal development industry. The more you read, the more you will understand that humans are capable of achieving anything they want. You will see the possibility of how other successful people managed to do it despite going against all the odds. As of now, I’m spending at least 30 minutes to an hour into reading every single day. The book that I’m reading now is called Grit, from Angela Duckworth. A great book that I strongly recommend you read. Do you know that you can improve yourself through traveling? This is because when you are traveling, especially to a country that you are not familiar with, you are getting out of your comfort zone. You will be seeing things that are different from your country. You will be walking on a stress that is totally new. You will be eating food that you have never tasted before. You will be talking to strangers who may not understand your language. You are progressing beyond your comfort zone. You are expanding. Do you see why traveling is important now? Of course, don’t settle for ordinary travel. Don’t go to places that you have been for 10th times over the last year. Go somewhere else, and go somewhere new. This will be exciting and it is going to be a new experience that you will gain. If you are from the US, go and visit China, visit South East Asia, come to Malaysia or go to the Europe. The key is to visit places that are totally different from your own home culture. See people speak in different language. Explore different places and get to learn new things. More importantly, go for a longer trip. Instead of going for a 5 days trip, commit and make it a month. You will learn how to “survive” a month in other people’s country, how’s that? I know that there are people who have been traveling the world for months, and it will be a great experience for them, but what about you? Another important point to note is to plan your trip. Some people will suggest you go on a trip without planning, but I don’t look at it this way. I suggest you do your planning because when you plan, you are setting mini goals for your trip. For example, when you list down the places you want to visit, you will have to think, imagine and use your creativity to come up with the details of how to get there, what to do there, what to eat there, how much money it will cost, and how long are you going to spend there. This act alone will fire up your creative imagination to think and plan for the trip. By the way, try to go to places without following a trip. The Westerners usually don’t follow travel agency, they go to places by themselves. On the other hand, most Asians, especially the Chinese will prefer to follow a tour trip to when they travel. They prefer to have someone to guide them. For the purpose of expanding your comfort zone and learning new experience, choose to go there without following a tour. This way, you will have to learn to make decisions on your own. You will have to find out and plan for the trip. And not depending on any tour guide to bring you during the trip. So are you ready for an extraordinary trip? Let’s plan and start now. The main objective is to prepare yourself for higher success, so choose a great travel trip that will force you to go out of your comfort zone. If possible, try to travel overseas at least once a year. I’m greedy, I love to travel and I wanted to do it twice a year. Remember, go to a country that you have never been before. Experience new and extraordinary travel so that you will be more confident and gain new insights. Another great way to prepare yourself for success is to learn a new skill. What I mean here is that you should stretch your mind and learn something new, such as cooking, play the piano or guitar, join the toastmaster club, learn gardening, learn to build a website, etc. You want to constantly improve yourself from time to time. Each year, try to take up a new skill and commit for it. Well, you can choose to learn something that you are passionate about. For example, if you love to play tennis, join a club and play regularly each week. If you love to write, start a blog, learn everything you can on the subject and set a goal to write a book. So why do you need to learn a new skill? While the obvious reason is to acquire a new skill, but what you truly want to accomplish here is to satisfy and create balance in your brain. We all know that our brains are built in two parts, the left, and the right hemisphere. And both sides have their own functionality and control our different activities throughout the day. Studies found that the right side of our brain is creativity dominant. When we use our imagination, visualization, involve in arts and expressing the abstract, we are using our right brain. On the contrary, our left brain is logic dominant. The left brain is often connected to logical thinking, sequence, mathematics, and facts. When you sit in front of your computer the whole morning writing an article, you are using more from one part of your brain. This will make the other part of the brain feeling bored and it wants entertainment. It will distract you and your urge to do something else will be strong. This is why people find it difficult to focus and concentrate on doing one work for the long term. If you are writing in the whole morning, you will find that it is difficult to come up with ideas or difficult to focus in the afternoon. And this is exactly why you need to learn a new and different skill – to balance both sides of your brain. When you read a book for hours, you will eventually lose the focus and find it difficult to concentrate. You need to stop, take a fresh breath, walk around, talk to people, and do something else before you can find the energy and concentration to focus on your reading again. Leonardo da Vinci, one of the greatest artists who painted “Mona Lisa” and “The Last Supper”, was not only an artist. Do you know that he has many skills and he was also an inventor, a sculptor, a musician, an engineer, an astronomer, a writer, a botanist and also an anatomist? Albert Einstein, the man who discovered the theory of relativity, was not just a scientist, he loved hiking, sailing, biking, and also playing his violin. The same goes for Pablo Picasso. He was not just a painter, he experimented with a number of different mediums such as sculpture, printmaking, and ceramics. It was said that Picasso even designed curtain, sets, and costumes for a handful of ballets. This is the reason why you need to learn other new skills, my friend. Satisfy both sides of your mind by becoming more balance through learning and practicing new skills. If you are a writer and you write in the morning, use your afternoon for other things such as swimming and jogging. This is exactly what Haruki Murakami, a famous Japanese author did throughout his day. When he is in the morning mode, he would get up as early as 4am, work for 5 to 6 hours, and in the afternoon, he would run for 10km or swim or do both. Then he would read and listen to music and get to bed at 9pm. He keeps the routine without much variation. Do the same. Incorporate a new and different skill to balance your skill and optimize what you do best. I bet that you already know the importance of having an empowering success environment. Your environment can shape you or break you, and this is true. If you read the book, Guns, Germs, and Steel from Jared Diamond, you will see how the environment plays an important role in shaping the world. My favorite blogger James Clear did write an article to cover this, you can read it here. When you look at the world, you will see that the shape of America is north-south, thin and tall, rather than wide and fat. The same goes for Africa. On the other hand, Europe, Asia, and the Middle East are totally opposite. The land stretches across east-west, and it is wide and fat. So what does this have to do with building an environment for success? Everything! When agriculture began to spread across the world, farmers had much easier time expanding long east-west rather than north-south. This is due to weather and climate constraints. Farmers in Asia and Europe were easier to grow on few crops along the stretch of wide and flat land across east-west. Meanwhile, the climate can vary wildly when you travel north-south. Many crops that grow well in warm weather do not grow well in a cold weather. As a result of this environment differences, agriculture spread faster in Asia and Europe than in the America. And over many years, this created a big difference and impact. The food production in Europe and Asia allowed the population to grow faster and develop new technologies and innovations. It all started out small. From a crop that can grow easier and faster population booming, but when the time comes into play over the centuries, the compound effect can be huge. The same can be said for your life and the environment you live in right now. Are you living in an empowering environment or are you living in an environment that does not support and encourage your success? Think about the effect on your environment over the years. Let me give you an example. In Japan, the television manufacturers rearranged their workstation to save time by eliminating unnecessary turning, swiveling, and bending. You can also make your environment supportive of your goals. For instance, if you want to lose weight, avoid unhealthy food by storing them in less visible places or simply put them in places that you cannot reach directly. Another great strategy you can implement is to allow yourself to work in the flow. If you want to hit the gym, make it easier for you to drop by the gym by choosing a gym that is between your work and home. Or if you want to practice yoga, put the yoga mat in your living so that you can reach it and practice yoga with convenience. These are some of the ideas on how you can leverage on your environment to build a successful life. Do you know that a vision board can also be considered part of your supporting environment hack? When you put the board somewhere you can see often, it reminds you of your goals and dreams, and hence, drive you into taking action. The key is to put the board somewhere you can see often, such as in front of your work desk. It is crucial to note that your environment plays an important role in determining your life. You should be the one who controls your environment rather than letting your environment to control you. First, stop blaming the environment. When you fail in business, don’t blame the economy. When you are late, don’t blame the traffic. When you lose a client, don’t blame the weather. Instead, take the responsibility and improve your environment. Brainstorm and think about what you can do with your environment and engineer it into a surrounding that will prepare you for success. If your goal is to save $10 each day, put a piggy bank near to the door inside your house. This way, you can see the piggy bank and put in $10 every day when you come back home. If your goal is to build a successful blog, make your blog your homepage. So whenever you open your internet browser, you will see your blog and this will remind you of your goals and dreams. There are many ways how you can turn your environment to support your dreams and put you on the path of success. Just be creative and implement some ideas that come to you. This is a common advice from many other success gurus, but it is something that most people often forgot. When it comes to preparing for success, you must always act as if you are already a success. When you start a blog, even if it is just a small blog, you must act as if you are already a successful blogger. So what should you do? Write and post regularly like you are having thousands of readers waiting for new posts from your blogs. Approach other bloggers with confidence and ask for guest blog opportunity. Get active on your Facebook page like there are tons of fans waiting for your updates. This is easier said than done. 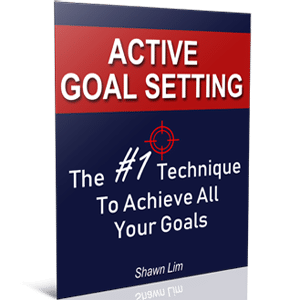 Most people are enthusiastic in the early stage when they first started out with their goals, but eventually, when the result does not come and when they face obstacles in their journey, they will quickly lose steam and forget about their goals and dreams. Never let this happen to you. Always act as if you are already a success in what you do and what you desire in life. If you want a fit body with 6 packs, what would a person with that body do most of the time? Would he visit the gym regularly? Would he work on his abs? What would he eat and what would he do to get that kind of body? The same goes for in every area of your life. If you want to become a successful entrepreneur, imagine what a successful entrepreneur would do and act as if you have already accomplished the same result. What will Warren Buffett do with his investment portfolio? How will Elon Musk handle this problem? What will Steve Jobs do in this situation? What will Richard Branson do to build his business? Imagine you are them, and then act like them. Of course, there are many reasons and factors that make successful people successful. The key here is to act as if so that you will motivate yourself and put yourself into taking action. More importantly, you want to allow yourself to learn how other successful people deal with their failures and setbacks and what would they do in tough times. This is the key in acting as if you are already a success in what you do. Every day, practice acting as if. Do something as if you are already a success. If you have no idea what successful people do, read more books and Google for the answer. Many great books have been written about the habits of successful people and what they do each day to achieve amazing feats in life. Remember, what is more important here is the characters, habits, and mindset. You must learn build success characters, habits, traits, beliefs and mindsets if you want to prepare yourself for success. And it all starts with acting as if you are a success. One of the main key factors that will determine your success in whatever you do is deliberate practice. Please understand that deliberate practice and normal practice is totally different. Most people got the wrong idea and think that as long as they practice, they will get good, their skills will improve and they will become better. This is not always the truth. Unless you deliberately practice with a purpose, your skills will never improve and you will never get better at what you do. So what is deliberate practice? Deliberate practice is a systematic and purposeful practice where you track, measure and aim to achieve a better result. It is not about mindless repetition; it is about practicing with an aim to improve a certain area with a system and measurement. You have to understand that practice does not make perfect, practice only make permanent. Deliberate practice, on the other hand, will make you better and get you closer to perfection. Let me give you a clear example, let’s talk about jogging. I believe everyone jogs before and some people are so committed to jogging that they have jogged for years. If practice is all you need, those who have jogged for years and ran thousands of miles throughout the years should be able to match the feat of an Olympian, but they are not, why is that so? It is simple, most people practice through repetition, without a goal, without an aspect to measure, and they just do it for the general aim, to maintain good health. Deliberate practice is different. Deliberate practice is about practicing with an aim, a purpose to improve and a system to measure your performance. For instance, most people do not measure the distance they jog, they don’t take note on their final heartbeat, they don’t measure the intervals they run and the intervals where they jog, and they don’t take the route into consideration, and they don’t have an aim to improve a particular aspect of their jogging. Can you see now why some people practice for years and have no improvement? While some people deliberately practice for years and improve by leaps and bounds? Deliberate practice is the key to becoming better. This also explains why professional athletes need a coach to guide them. A coach will measure their performance in vivid details. And a coach will give the athletes a purpose and a target to achieve during the practice. Considering what you are doing right now, how can you improve what you do through deliberate practice? What are the aspects that you can measure? Can you time how long it takes to do it? What about other factors? What is your aim? If you are serious about achieving outstanding success in life, you will have no put in the effort anyway. So rather than practicing for the sake of practice and repetition, commit to deliberate practice. Every time before you start your practice, give yourself a clear stretch goal to aim. Put in full concentration and effort to focus on your progress. Create a measurement system to measure your performance and check the feedback for improvement. Finally, practice it as regular as possible and reflect on your result and do some refinement. This is easier said than done. It will be even more difficult if you are doing everything by yourself. Thus, get a coach, get a mentor or ask someone for help. Don’t just spend time practicing; you will not improve much that way. Instead, spend time and effort in deliberate practice; this will ensure you get ahead in the game. This is a long article and if you read up to this point, it simply shows that you are more committed and resilient to discover how you can improve yourself for higher success. And I congratulate you on this. However, your journey does not end here. Implement what you have learned. Share with me how you think these 7 practices can or cannot help you in preparing you for the success you want. Let me hear your opinion in the comment section below. Cheers. Hey Shawn, I so totally agree with tips no 1 and 2. I’m just reading Charles Duhigg’s book -The Power of Habits- and he mentions how simply committing to a small thing like working out can positively affect every other areas of your life. That simple act builds your will power and results in a spillover effect in every other area of your life. If more people simply committed to working out and reading at thrice a week, they’d soon experience some ripple effects in their lives. Thanks for these reminders and all the work you’ve put into Stunning Motivation. Hi, Annette, thanks for leaving your thoughts here. So commit to doing and completing little things every day is the key to success.